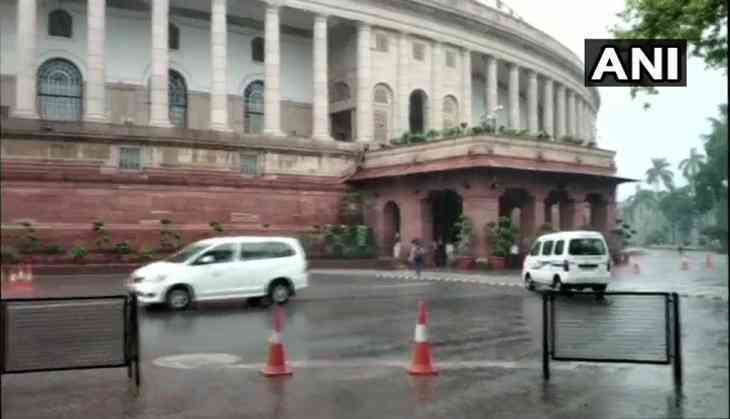 Rains lashed parts of the national capital this morning causing the humidity level to shoot up to 90 per cent. "The minimum temperature recorded at 8.30 am was 27.2 degrees Celsius, a notch above normal. The humidity level was recorded at 90 per cent," a MeT official said. The weatherman has predicted a cloudy day with the possibility of light rains towards the evening. The mercury is expected to settle around 35 degrees Celsius, it added.